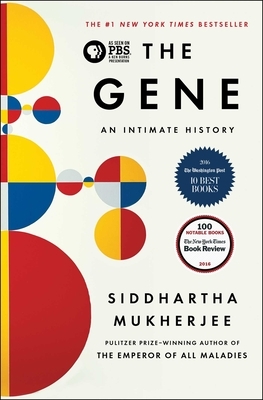 "Mukherjee deftly relates the basic scientific facts about the way genes are believed to function, while making clear the aspects of genetics that remain unknown. He offers insight into both the scientific process and the sociology of science... By relating familial information, Mukherjee grounds the abstract in the personal to add power and poignancy to his excellent narrative." "[Mukherjee] nourishes his dry topics into engaging reading, expresses abstract intellectual ideas through emotional stories . . . .[and] swaddles his medical rigor with rhapsodic tenderness, surprising vulnerability, and occasional flashes of pure poetry. . . . . With a marriage of architectural precision and luscious narrative, an eye for both the paradoxical detail and the unsettling irony, and a genius for locating the emotional truths buried in chemical abstractions, Mukherjee leaves you feeling as though you've just aced a college course for which you'd been afraid to register -- and enjoyed every minute of it."